Reliable Light Haulage in Leeds. 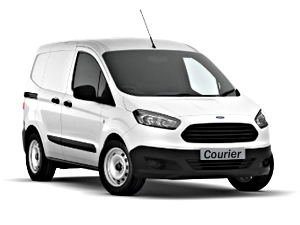 We are a well established independent, reliable SameDay Courier and Light Haulage Company based in Leeds, Yorkshire, we provide a range of professional, reliable van courier services to domestic and commercial clients in Leeds, Harrogate and York. SameDay Courier based in Leeds for rapid collections and urgent deliveries from Leeds, Harrogate and York. We specialise in light haulage and same day courier services, from Leeds, Harrogate and York. If you need a package, pallet, crate or machine delivered from one end of the country to the other we can help you. Our central Yorkshire location provides us with easy access to all local motorway networks enabling us to offer a fast, efficient, sameday, nationwide van courier service from across Yorkshire and the north of England including Harrogate, Harrogate, York and surrounding areas. Recently an eBay customer brought 4 Large carved Wooden Church Posts from a private seller in Preston and needed them bringing back to Harrogate. The shipment wasn’t time-sensitive but instead needed to cost effective. After we liaised with seller directly we arranged to tie the collection in with another shipment that we had in the area allowing us to offer large discounts to both customers. Yorkshire based SameDay Van Delivery providing Nationwide service.